With the latest miniSIPServer version, it can be configured with several addresses, such as “local address” and “public address”. Please refer to following figure. In normal, if miniSIPServer is deployed in public network with public address, it is unnecessary to configure independent “Public address” in above SIP configuration since the local address is public address itself. But in some network environment, for example, miniSIPServer is in a NAT and need serve outside users, we need configure “public address”. 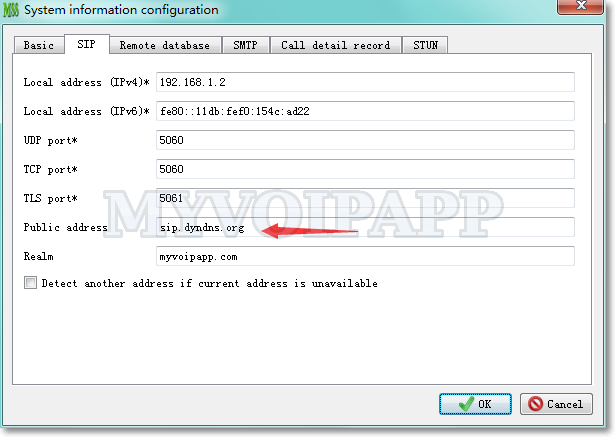 Outside users can use this “public address” to work with miniSIPServer. 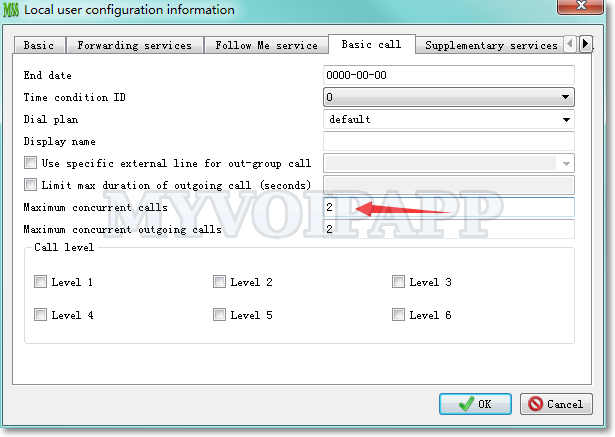 If the network bridges several sub-networks, such as private network and public network, several different private networks, and so on, some SIP phones MUST use miniSIPServer private address, others use miniSIPServer public address, here we suggest to enable “relay media” in local users’ configuration which will make miniSIPServer to relay audio streams between these networks.